One of the greatest challenges for many business professionals is being able to handle the never ending list of tasks, to-dos, requests and urgencies that arrive each week. Some give in to the demand and simply work around the clock trying to handle them all. The smart business operators embrace the value of delegating in order to accomplish everything without having the stress and fatigue of trying to do it themselves. 1. Let go of the notion that no one can do it as well as you. The fact is you have people in your organization that would rise to the challenge and with a little guidance, probably do the task as well or better than you. In the spirit of developing your team, give them that chance. 2. Be clear about what needs to be delegated to others. It’s not a question of just handling over the daily minutiae. Some of this might fall under the category of ‘Why are you doing this at all’. Say no to the really small stuff and move on. What you need to hand over to free up your time are the projects that you are not very good at or don’t really enjoy doing. These are the activities that not only sap your time but drain your energy. 3. Know what your staff’s capabilities are. The tendency when delegating is to look for the person with time to fill. 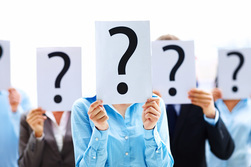 What works better is to select the person who is best suited for the project. People with time to fill may not have the right skill set. 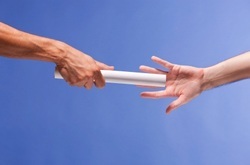 Delegating to people with a desire to take on more, usually results in a better outcome. 4. Take time to talk with your employee about the assignment. It’s not a matter if just dictating your requirements and walking away. Take the time to explain the importance of the project and why you selected that employee to handle it. Convey your expectations of the results you want and invite their feedback about how they would approach it. Getting their buy-in takes a small amount of time but can have major benefits in how they take ownership for the task. 5. Gain agreement on check-ins during the project. ​Let your employee know that you are giving them the authority to do the work but you expect them to update you on how things are going throughout. Set times for check-in meetings so they feel a sense of accountability and you maintain some oversight of the project. Delegation is more ‘art’ than science and as such requires practice to become truly effective. However, the time you spend perfecting your delegation techniques will pay you handsomely in the future. With more of your staff handling the day to day and you having more time to spend on things that are important to you, your business will improve and you will enjoy running it much more. To learn more about how business coaching can help you perfect better business practices like delegation, contact Steve at (949) 951-9163 or steve.smith@growthsourcecoaching.com.